Book your Golf Cart Rental Online Today! 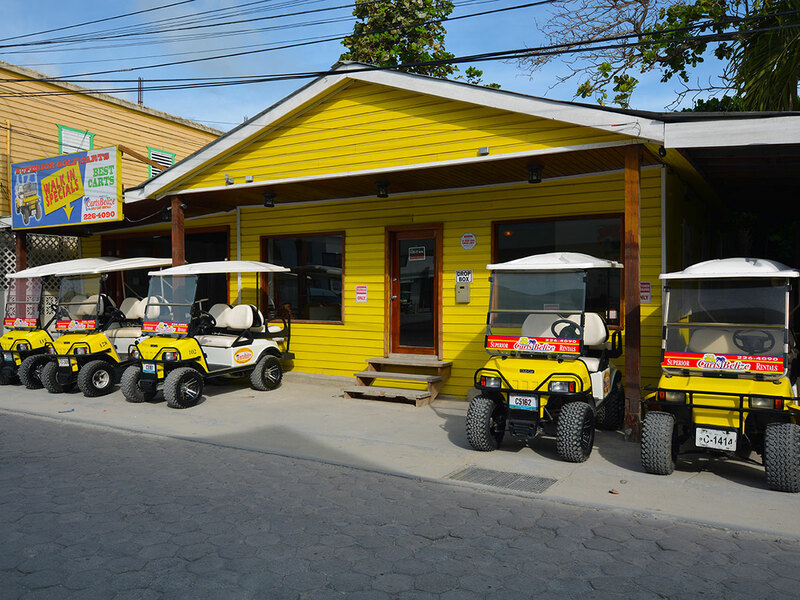 Carts Belize is the leader in golf cart rentals in San Pedro, Ambergris Caye, Belize. 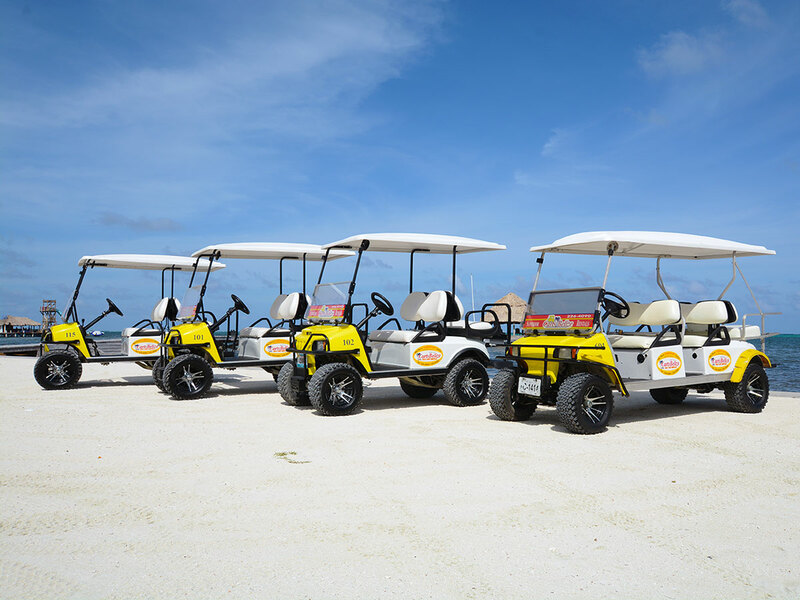 We take great pride to ensure that your golf cart rental is safe, clean and comfortable and stand by our promise to provide SUPERIOR golf cart rentals to the visitors of La Isla Bonita. Our golf carts are loaded with custom features that are not found on any other rental cart in San Pedro. Carts Belize meticulously maintains our carts to ensure that each and every golf cart rental exceeds the expectations of our customers. 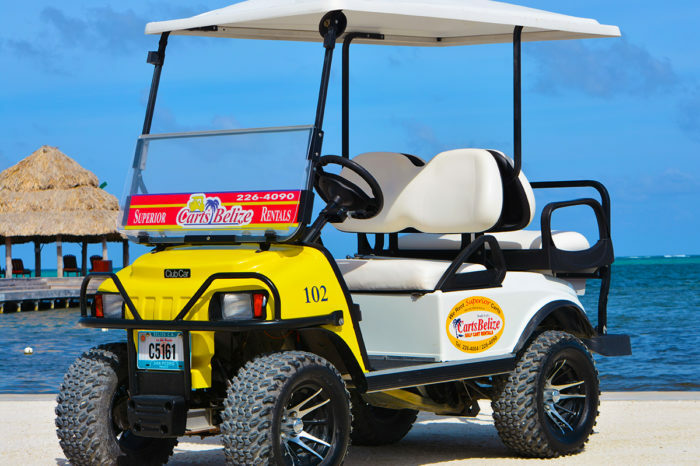 Carts Belize offers door to door delivery service of your golf cart rental as well as two convenient locations in San Pedro that you can stop by and pick up or drop off your rental. 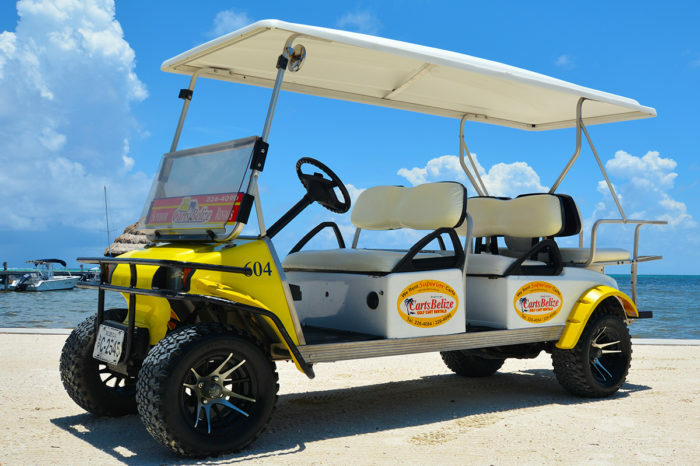 Our commitment to customer service is the “umbrella in your cocktail” of our SUPERIOR Belize golf cart rental promise. Make sure you reserve your rental cart early to avoid having to settle for an inferior golf cart rental. Stay at our sister resort! 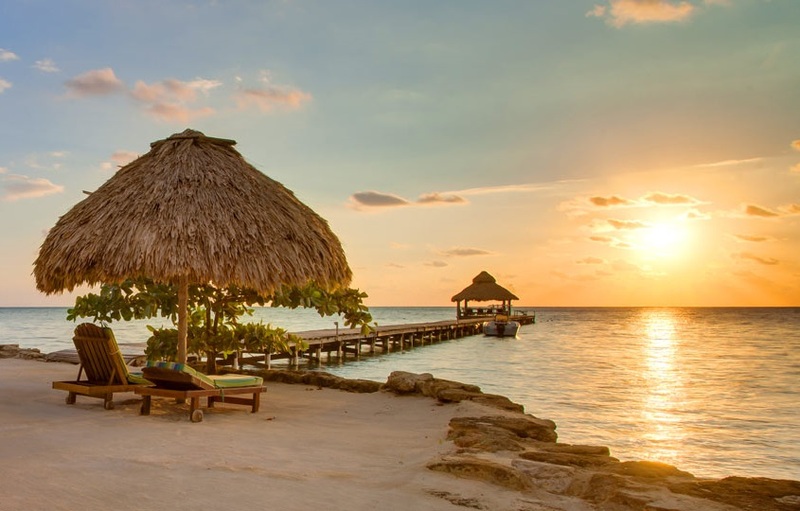 One of Ambergris Caye's Premier Resorts with over a decade of satisfied guest reviews on Trip Advisor! 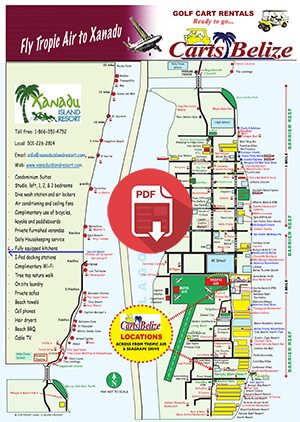 Eco-friendly Xanadu Island Resort lies nestled in the natural vegetation, on the beach overlooking the 2nd largest barrier reef in the world and the Caribbean Sea. Offering a unique tropical island experience in monolithic dome suites. Stay at our sister resort and receive savings on your accommodations and golf cart rental!